The Exigo Pectoral Fly/Rear Deltoid is a dual machine that can be used to specifically target both the rear deltoid and pectoral muscles. 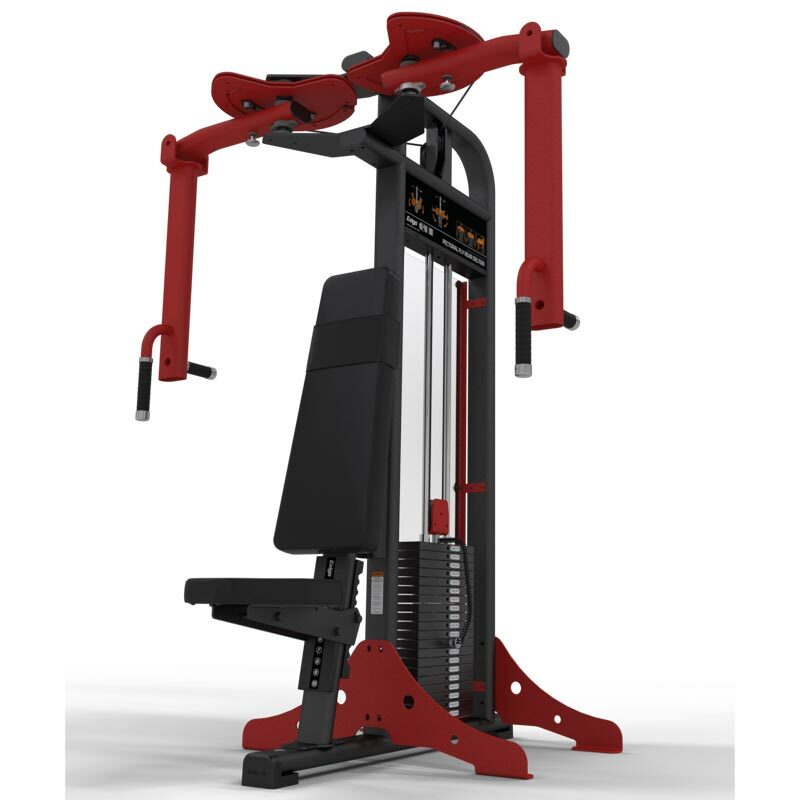 The Exigo Pec Fly - Rear Deltoid is precision designed and engineered for optimum workout results. Features a wide motion for bio mechanical function and incremental weight options. Provides a two in one solution for any gym or strength and conditioning facility. Adjustable seat and quality upholstered back pad for positioning and comfort. Super space saving combination/dual workout machine.